Diabetes has reached epidemic proportions in the United States. 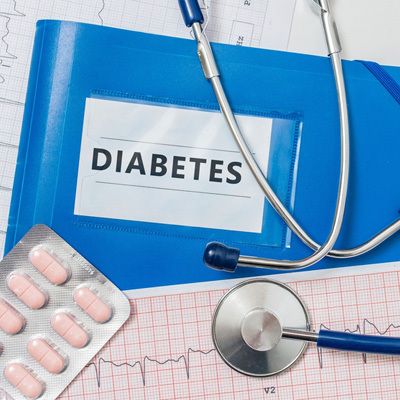 According to the American Diabetes Association, 29 million Americans are diabetic with an additional 86 million Americans diagnosed as pre-diabetic. Every day, diabetes will cause 200 Americans to undergo an amputation, 136 to enter end-stage kidney disease treatment, and 1,795 to develop severe retinopathy that can lead to vision loss and blindness. What can be done to help improve overall health for individuals suffering from Diabetes? Correct Adrenal Imbalances: Malfunction causes hormone imbalance and affects blood sugar levels. Changes in diet, stress levels, and nutritional supplementation help to reduce imbalances and over production of hormones. Proper nutritional support can rebalance overproduction of cortisol and adrenaline, which can stabilize glucose levels. Decrease Toxicity Levels: Environmental pollution in food, air, and water, as well as processed foods, leads to toxic chemical levels in the body. Cleansing the liver and detoxifying the body can improve cholesterol while helping to normalize blood sugar levels. Improve Dyslipidemia: Excessive cholesterol imbalances of LDL (bad fat) to HDL (good fat) cause insulin resistance leading to the first causative step of diabetes. Improving cholesterol imbalances can help decrease diabetes or risk of diabetes. Reverse Nerve Trauma: Nerve trauma can be the result of the birth process, falls, accidents, and many other causes. The solution is to decrease nerve trauma by finding and removing interference to nerves. Reducing nerve trauma helps heal the pancreas, kidneys, adrenals, eyes, and feet. Through diagnostic testing, areas of impingement can be identified and subsequently corrected with treatments such as chiropractic care. For additional information, to attend one of our workshops, or for a free in-office consultation, please give us a call at (815) 729-2022.